Writing a press release requires both skill and effective strategy, in order to let the world know about your product or service. How many times have you come across words like ‘breakthrough’, ‘leader’, ‘leading’, award-winning’, ‘state-of-the-art’, ’exclusive’ in a press release and just skipped the whole thing even without reading it? Probably 9 out of 10! Whilst it is true that press releases are a great medium to get news and views across customers, businesses often overuse or abuse this medium thus driving people away from their content and product. 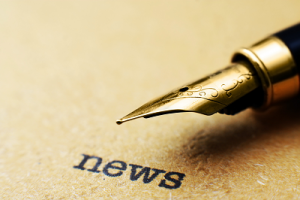 So what constitutes a great press release? Read on to get the truth of this often misunderstood marketing medium. A good press release is all about good content. Good content does not necessarily mean a keyword rich content. A perfect news release incorporates important elements like Who, Why, Where, What and finally How. Try and slip in as many elements as you can in the headline itself. This is the type of advice coming from various news release strategists, affiliated to news wire sites that offer press release distribution services, where businesses get to submit properly formatted press releases. Just speaking of headlines, it’s important to have a killer headline that’s sure to grab the viewer’s attention. But then again, try and avoid using clichés like the ones that are mentioned above. Press Release editors especially dislike it when businesses brag about themselves. Sales pages that are cleverly disguised as press releases are sure to be disregarded and thrown out. Even if you manage to get your press release published, it will be difficult to grab the reader’s attention under these suspect circumstances. Make sure that the press release provides the reader with an action opportunity. Customers are certainly not interested in reading announcements unless it’s of use to them. Free trials, special offers, white paper downloads, newsletters, webinars are all great ideas to engage the reader’s attention. It is advisable to use these words, rather than clichés that sound pompous and highly patronising if not out rightly false. A reputable press release distribution company, dealing with businesses that want to submit a press release, will make sure that the news gets straight to popular search engines like Google, Yahoo and Bing. There is also a high likelihood that the story will be published in news sites like Google News, and Yahoo News. The press release is sure to be lapped up by search engines, because of it was written as a search engine friendly release. With so much exposure, it makes absolute sense to write press releases that are newsworthy, rather than waste online space through dull and drab releases.